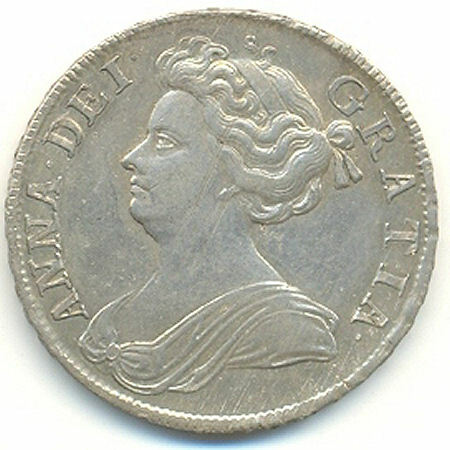 Queen Anne lived from 6 February 1665 to 1 August 1714. She became Queen of England, Scotland and Ireland on 8 March 1702 on the death of her brother-in-law, William III/II. On 1 May 1707, when England and Scotland united into a single kingdom, Anne became the first sovereign of the Kingdom of Great Britain. Anne was the last monarch of the House of Stuart, which had ruled Scotland since 1371. Anne was born in St James's Palace in London, the second daughter of James, Duke of York (later to be James VII/II and his first wife, Lady Anne Hyde. She and her elder sister Mary (later to be Mary II) were the only two of eight children to survive into adulthood. In 1673 the conversion to Catholicism of the Duke of York became public knowledge, though her uncle Charles II instructed that both Anne and her sister Mary should be brought up as Protestants. On 28 July 1683, Anne married the Protestant Prince George of Denmark, brother of the Danish King Christian V. The marriage was not a popular one in England, but was a happy one for Anne and George. Meanwhile, Anne formed a close friendship with Sarah Churchill, who was married to John Churchill, the future Duke of Marlborough. Charles II died in 1685, and Anne's father James became James VII/II. As a Catholic his rule was not popular, and matters came to a head in 1688 when James put seven Bishops on trial for seditious libel. And then on 10 June, James' Catholic second wife, Mary of Modena, gave birth to a son, James Francis Edward Stuart, and Protestants found themselves looking at the prospect of a Catholic dynasty. In response, a group of Protestant lords asked Anne's brother-in-law, William of Orange, to invade England: which he did on 5 November 1688 at the start of the "Glorious Revolution". James' army switched allegiance to William and Mary. Anne, who had written to William to express her approval of his actions, and her lady-in-waiting, Sarah Churchill, escaped from Whitehall Palace by a back staircase. They stayed a night with the Bishop of London before travelling to Oxford to meet up with Prince George and John Churchill. William and Mary were subsequently appointed joint Monarchs by Conventions held in London and Edinburgh. One of their first acts was to appoint John Churchill to be the Duke of Marlborough. Mary II subsequently developed a suspicion that the Duke of Marlborough was in fact a Jacobite (ie a supporter of James VII/II) and dismissed him from all state positions. This caused a rift between Anne and Mary that was not to heal before Mary's death from smallpox in 1694. William and Mary had no children, and Anne's only surviving son (from 18 pregnancies) William, Duke of Gloucester, had died aged 11 in 1700. In response, the English Parliament passed the Act of Settlement in 1701. This confirmed Anne as heir to the throne after William unless he had legitimate offspring in the meantime. Next in succession would be any children of Anne and George: and after them would come Sophia, Electress of Hanover (a grand-daughter of James VI/I) and her descendents. The aim was specifically to exclude the Catholics James VII/II and James Francis Edward Stuart from any possibility of succession. The key drawback with the Act of Settlement was that in passing it, the English Parliament had neglected to consult the Scottish Parliament, especially in relation to the succession after Anne. William died in 1702, and Anne became Queen of England and Ireland and Queen of Scots on 8 March 1702. Through much of her reign, Britain was heavily engaged in the War of the Spanish Succession. Anne appointed the Duke of Marlborough as commander of the Army, and he justified her faith in him with a series of successes, most notably at the Battle of Blenheim in 1704. She placed her husband, Prince George of Denmark, in command of the Navy. On the domestic front, the key issue that had been on the agenda since 1689, and which grew ever larger from 1702, was the question of the future relationship between England and Scotland. Although the crowns had been combined under James VI/I in 1603, England and Scotland remained separate countries with separate currencies, and Scotland was excluded from free trade with England and its colonies. Early moves focussed on bringing the question of succession in Scotland into line with that agreed by the English Parliament under the Act of Succession. The Scots Parliament responded with the 1703 Bill of Security, which allowed Scotland to select its own Protestant monarch if Anne died without heirs. The Bill was initially refused Royal Assent, and this was only given after the Scottish Parliament had threatened to refuse to raise taxes, and to withdraw troops from the Duke of Marlborough's Army, then still heavily engaged on the continent. The English Parliament hit back with the 1705 Alien Act. This was a draconian piece of legislation which transparently exposed the huge differences in economic strength between England and Scotland at the time. Under its terms, all trade and free movement between the two countries would cease, and all Scottish-owned property in England would be seized: unless negotiations opened leading either to the repeal of the Act of Security, or towards a full Act of Union. The result was what many viewed - and still view - as a shotgun wedding: an Act of Union approved by the Scottish Parliament (in effect voting itself out of existence) on 16 January 1707. It is clear that blackmail, espionage and bribery all played a part in securing the vote in the Scottish Parliament, and very clear that the Parliament's decision was against the wishes of the overwhelming majority of the Scottish people. But perhaps underlying it was an unavoidable sense of Scotland's huge economic problems at the time, and the very real benefits that were on offer under the Act of Union, especially in terms of Scottish access to free trade with England and its overseas dominions, and compensation for the huge losses (arguably caused by William III/II) that Scotland had suffered in the Darien Scheme. At the same time, a number of the things that made Scotland distinctively Scottish, such as a separate set of laws, a separate education system, and a separate church, were maintained under the Act of Union. On 1 May 1707, England and Scotland united into a single Kingdom, and Anne became the first sovereign of the Kingdom of Great Britain. On 13 March 1708 a French fleet tried to land James Francis Edward Stuart, "The Old Pretender" on the Fife shore of the Firth of Forth at the head of a 5,000-strong French army. They were prevented from doing so by a squadron of English warships under Admiral Byng. The French admiral in charge of the fleet called off the attempt, refusing James' pleas to be put ashore, alone if necessary. James returned to France. Anne's later reign was overshadowed by disputes between the Whigs and Tories in what was now the British Parliament, though she increasingly took a back seat, leaving the day to day business of government to her Ministers. Perhaps her last truly enduring move was the introduction of the world's first major copyright law, the Statute of Anne (1709), which granted exclusive rights in written works to authors rather than to printers. She also oversaw the settlement in 1709 of 8,000 Germans displaced by the War of the Spanish Succession in southern Ireland. Anne died of gout on 1 August 1714. The Electress Sophia of Hanover had died six weeks earlier, so under the terms of the Act of Settlement the Electress's son, George I, Elector of Hanover, inherited the Crown of Great Britain. It is said that in this process as many as 50 Roman Catholic family members with better claims to the throne were excluded from the succession. Foremost amongst them was Anne's half brother, James Francis Edward Stuart, "The Old Pretender". James had been approached in 1711 by the new Tory administration and offered the succession if he converted to Protestantism: he declined. It would not dampen his desire to regain the throne on his own terms.